THIS ONE HAS IT ALL! 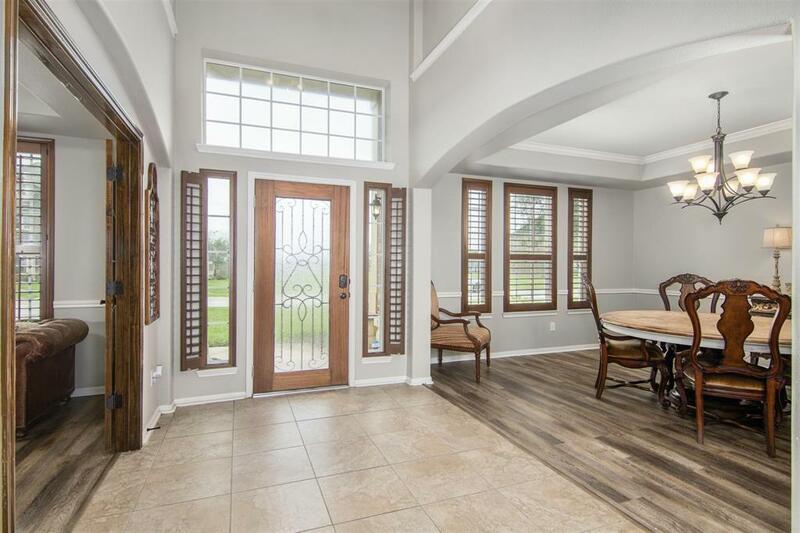 LAKEFRONT, POOL, 5 BEDROOM, 3.5 BATH, 3 CAR GARAGE! Enjoy luxury living at an affordable price in this quiet, gated community. 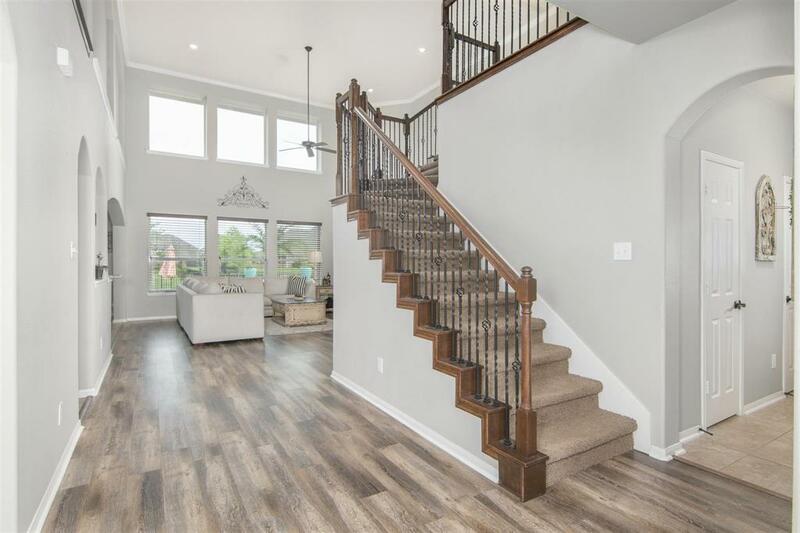 Gorgeous Brighton Mandalay floor plan with all the bells and whistles. 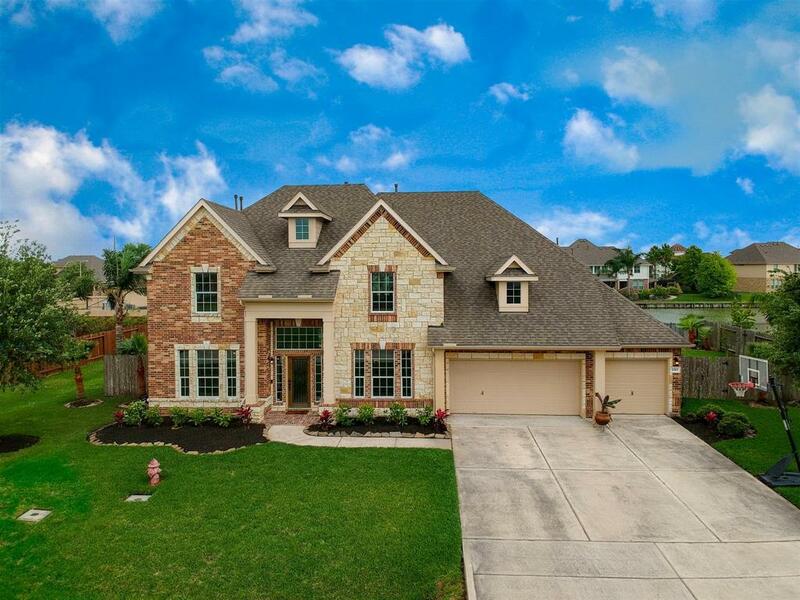 Beautiful brick and stone elevation, soaring ceilings, formal dining, study, gourmet kitchen, granite, stainless appliances, gas log fireplace, hardwood laminate, tile, impressive wrought iron staircase, downstairs master with en-suite bath, 2nd floor game room, media room (or bedroom) with additional 3/4 bedrooms. Enjoy poolside spectacular views of the lake! Fun catch and release fishing for the kids! This beauty was high and dry during Harvey and has much to offer! Excellent opportunity for buyer wanting it all! 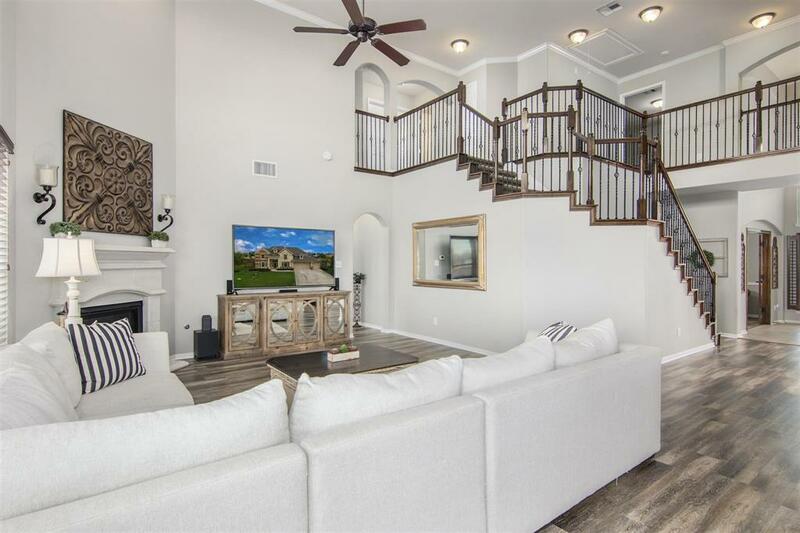 Convenient location, minutes to shopping, local attractions and I-45. Exemplary Friendswood ISD Schools and best of all NO MUD TAX! Call today for your private tour and be "livin the dream" by summer!